Following on from the 1-0 first leg win over Real Sociedad in the Copa del Rey quarter finals, FC Barcelona return to league duties on Sunday with a trip to Eibar. The team trained at Ciutat Esportiva on Saturday morning in the last session before their away day in the Basque country. 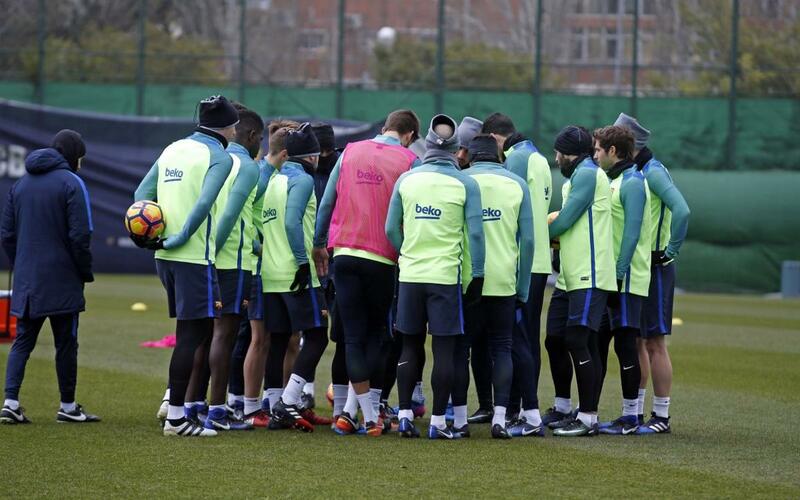 Shortly after, Luis Enrique announced his squad for the game at Ipurua, and the manager will be without a few first team players for various reasons. Captain Andrés Iniesta will miss out through injury, as will fellow midfielder Rafinha. Javier Mascherano is suspended while goalkeeper Jordi Masip is out for technical reasons. The 18-man squad is therefore as follows: Ter Stegen, Cillessen, Piqué, Rakitic, Sergio, Denis, Arda, Suárez, Messi, Neymar Jr, Paco Alcácer, Jordi Alba, Digne, Sergi Roberto, André Gomes, Aleix Vidal, Umtiti and Mathieu.